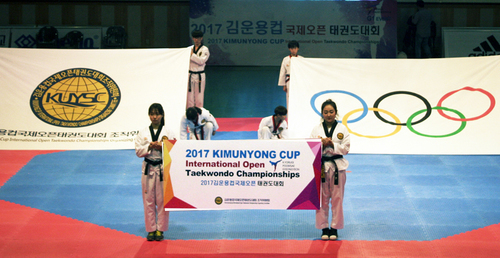 Gyeonggi-do Taekwondo Association as being sure of that is the center of Taekwondo in Korea is becoming an example to the Taekwondo world due to its social contribution. Gyeonggi-do Taekwondo Association(president, Kim kyung-duk,71 & president of Kukkiwon Taekwondo 9th Dan Highest High Society) is establishing a good precedent of leading by example as well as becoming an example for Taekwondo world through social contribution with Kyeongtae Foundation as juridical foundation and Taekwondo provident society in the lack of donation culture and unfriendly environment. 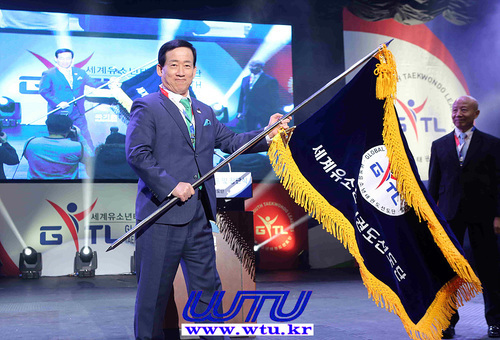 Gyeonggi-do Taekwondo Association operates its under Gyeongtae Foundation as juridical foundation and Taekwondo provident society as corporation. 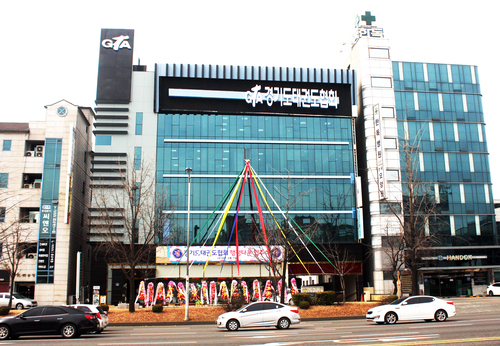 Gyeongtae Foundation has established in 2009 to conduct business both profit-making business and social enlightening business such as training institute operation business of Gyeonggi-do Taekwondo Association, cooperative purchasing business for supplies, member education business, and multiple culture support service to overcome the limitation of profit-making business as game group. 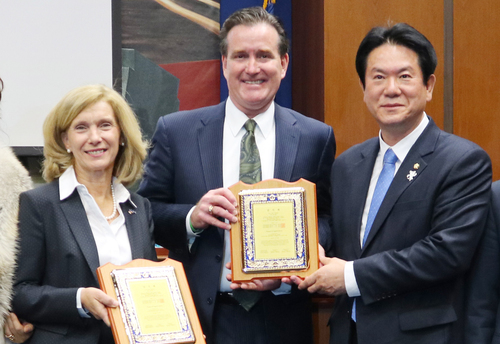 However, it was nominal and a donation organization had been established in the corporation. Since president Kim had been elected as a foundation director by being authorized by the Ministry of Strategy and Finance, 250 people opened the gate of participation fund raising by Kim’s active persuade and encouragement for participation of donation. 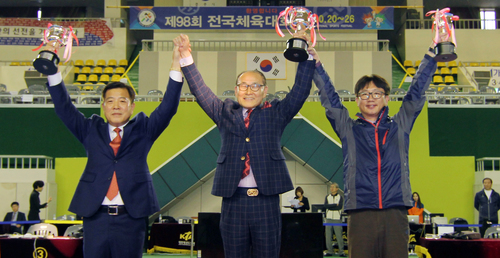 The joint social contribution business between Gyeongtae Foundation and Taekwondo provident society delivered 2,000,000 won to a member who lost its taekwondo studio by fire, 3,000,000won to Mr. Kim from Pocheon who is struggling against lung cancer for his hospital bills support fund. 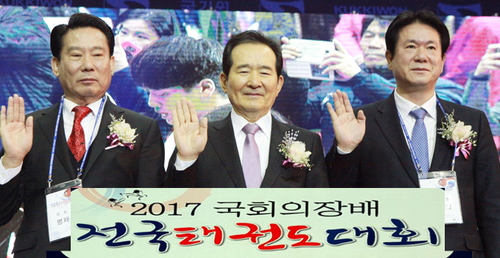 On December 1, Choi Myeongcheol who came from Sakhalin and is executive advisor of Russia Taekwondo Associateion working as a bridge for launch of Gyeonggi-do Taekwondo Association toward Russia received 3,000,000 won by president Kim, executive director Seo Myeonggi from Gyeongtae Foundation, and board members from Gyeonggi-do Taekwondo Association because he was diagnosed with colorectal cancer and had a surgical operation in Korea but he has trouble in hospital bills. 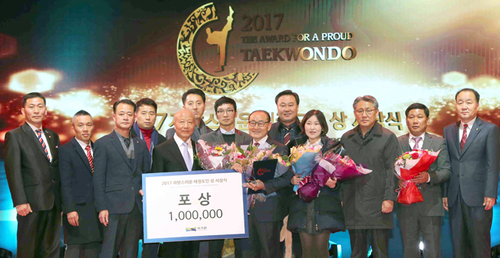 In addition, one of member who is suffering from serious illness among members of Goyang-si Taekwondo Association had been delivered 2000000won in accordance with foundation board of directors. 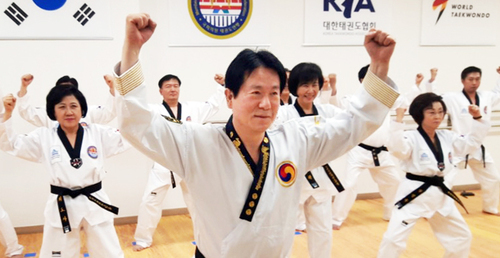 As Taekwondo international society contribution program, Gyeonggi-do Taekwondo Association has been conducting uniform and supplies supporting business to underdeveloped countries and 300 uniforms to Tonga, Africa, supplies to Ivory Coast, 150 uniforms to Tunisia and several uniforms to domestic troops. It is in the process that the class of Taekwondo is opening in Baksan Ethnic school located in GiLinSheng of China and to support entry fee for Princess Cup international Taekwondo Competition, which is the 8thcompetition that Korean master association in Thailand is a key role to open, launching elementary school team and 13 elementary schools have opened Taekwondo regular class in Pataya as well. 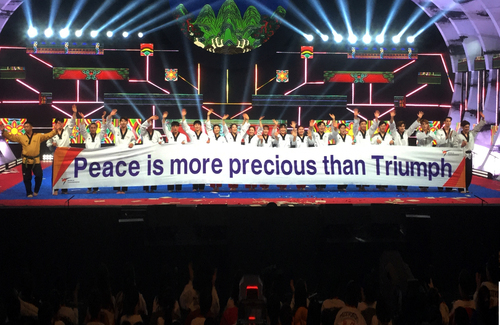 In February, 2019, Gyeonggi-do Taekwondo Association have entered into a technical partnership with pataya and in December 2016, 25 performance members had been sent to Lipetsk, Russia, 15 performance members had been sent to Xian, China in November, 2018. 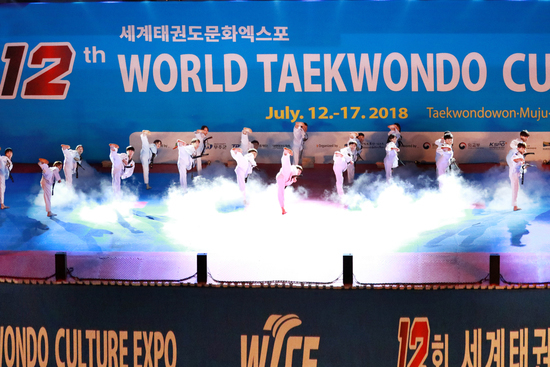 On December 7, the association is planning to send Taekwondo performance members to Korea-India Culture Festival, and it is trying to support and exchange of overseas Taekwondo and international society contribution of Taekwondo. Gyeonggi-do Taekwondo Association is planning to support briquette for impoverished senior citizen who lives alone and shiver with cold. 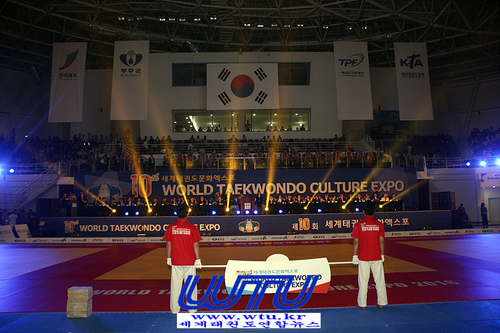 Its social contribution creates a great reverberation in Taekwondo world. 대한민국 태권도의 중심을 자부하는 경기도태권도협회가 사회공헌으로 태권도계에 귀감이 되고 있다. 경기도태권도협회(회장 김경덕,국기원 9단회 회장)가 산하 재단법인 경태재단과 사단법인 태권도공제 조합과 함께 연말 각박한 사회에서 특히, 태권도 단체들이 기부문화가 다소 부족하고 조금은 배타적인 분위기속에 사회공헌으로 태권도 전체 단체에 귀감이 되고 한편으론 솔선수범의 좋은 선례를 남기고 있다. 경기도태권도협회는 산하에 재단법인 경태재단과 사단법인 태권도공제 조합을 운영, 경태재단은 2009년에 설립되어 경기단체로서 수익사업의 한계성을 벗어나기 위해 경기도태권도협회 연수원 운영사업, 용품 공동구매 사업, 회원교육사업, 다문화 지원사업 용역활동 등 수익사업과 사회 계몽사업을 할 수 있도록 설립되었지만 그동안 유명무실하게 운영되다가 법인 안에 기부단체를 조직하여 재정 기획부로부터 인가 받아서 김회장이 이사장으로 선출되면서 기부정신에 대한 적극적 설득과 참여 독려로 250여명이 참여 기금 조성의 물꼬를 텄다. 협회 산하 재) 경태재단과 사)태권도공제 조합 공동 사회공헌 사업으로 지금까지 태권도장이 화재로 소실된 회원에게 200만원을 전달했으며, 포천시장 출신인 김 모씨가 폐암으로 투병 300만원을 병원비지원금로 지원 하였으며 12월1일에는 그동안 경기도태권도협회가 러시아로 진출하는데 가교역할을 하였던 러시아 태권도협회장 상임고문인 사할린 출신 동포 최명철씨가 대장암 진단을 받고 한국에서 수술 받았으나 입원비등이 어려워 요양 중인 포천시 운천병원으로 김회장과 서명기 경태재단 상임이사 경기도태권도협회 임원진들이 찾아가 300만원을 전달하였다. 경기도태권도협회는 태권도 국제사회 공헌 프로그램으로 저개발국 도복 및 용품 지원사업을 지속적으로 펴서 아프리카 퉁가에 도복 300벌 코티디부아르에 용품지원 튜니지에 도복 150벌과 국내 군부대에 다수의 도복을 지원하는 등 중국 길림성 백산 민족학교에 태권도 수업을 받을 수 있도록 추진하고 있으며 2015년부터 태국에 태권도 한인사범회가 주축이 되어 8회째 실시되고 있는 프린세스컵 국제 태권도대회에 대회비를 지원하여 그 성과로 관광도시 파타야시 관내 초등학교팀 창단과 13개 초등학교에 태권도 정규과목으로 수업을 할 수 있도록 하는 성과를 일궈 내었으며 2019년 2월경에 파타야시로부터 경기도태권도협회와 기술제휴와 2016년 12월 러시아 리폐츠크시 태권도 협회에 25명의 시범단을 파견 하였고 올해 11월에는 15명의 시범단을 중국 서안시에 파견했으며, 오는 12월7일에는 한국, 인도 문화 페스티발 문화 행사에 태권도 시범단을 파견 협회는 향후 해외 태권도 지원 및 교류와 태권도 국제사회 공헌에도 힘쓰고 있다. “앞으로 경태 기부재단에서 2019년에는 아프리카 및 동남아지역에 우물 파주기와 수술하면 살릴 수 있는 어린이들을 한국으로 초청하여 치료할 수 있는 프로젝트도 마련 중이다‘라고 밝혔다. 경기도태권도협회는 연말에 추위에 고생하시는 가난한 독거노인들에게 연탄 지원행사도 가질 계획으로 알려지고 있어 태권도 사회공헌이 태권도계에 큰 반향을 불러 일으키고 있다.